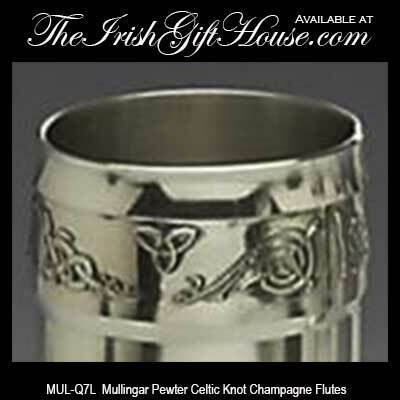 Mullingar Pewter champagne flutes feature the imagery of the Claddagh along with Celtic motifs. These detailed pewter toasting glasses are exceptional for a wedding or for any special occasion. 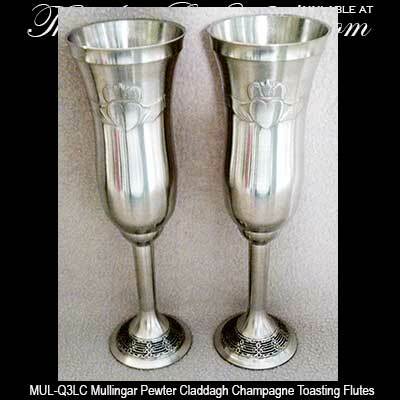 The Irish Gift House stocks all the Irish champagne flutes from Mullingar Pewter including the Celtic wedding flutes along with the Claddagh champagne glasses. 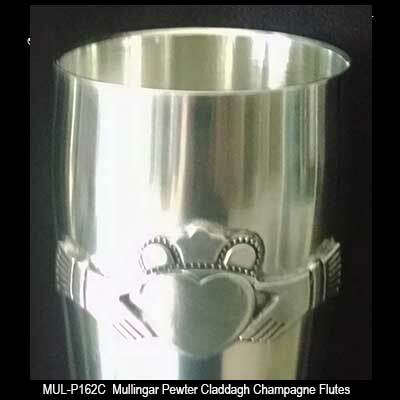 Any bride and groom will be proud to use these Mullingar Pewter wedding flutes for their first champagne toast and for many more calls of honor in the years to come. 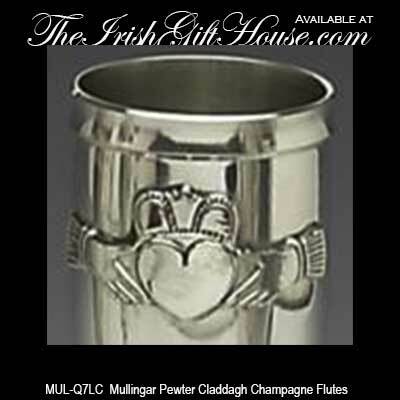 These Mullingar Pewter toasting glasses are perfect for any happy occasion. 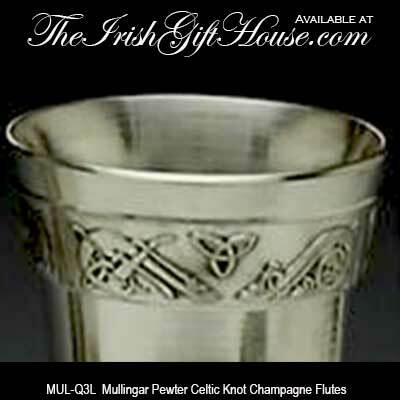 In addition to the toasting glasses from Mullingar Pewter, The Irish Gift House features several Galway Crystal champagne flutes. Did you know that it is the lead in crystal that provides the distinctive sounding ring? 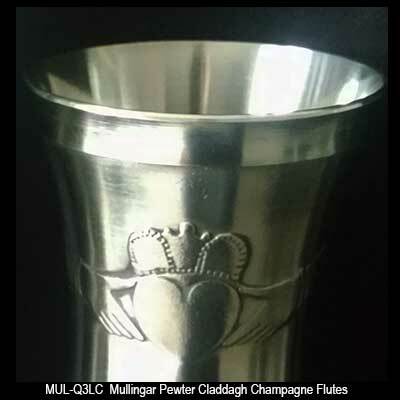 See all our many choices, including those made of glass with pewter Claddagh emblems, on the Irish champagne flutes page that is located in the Irish Wedding Gifts section.